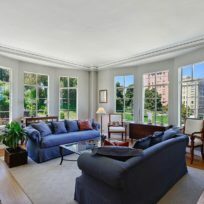 Upon entering the majestic and pristine lobby of 1950 Gough, it becomes clear that you are in one of Pacific Height’s most prestigious, graceful, and elegant buildings. 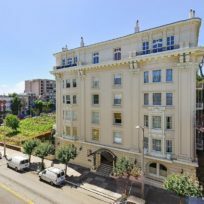 The Spanish-Mediterranean architecture is captivating with intricate ironwork in the front doors and features throughout the building the character and scale that is typical of architectural styles in the 1920’s. 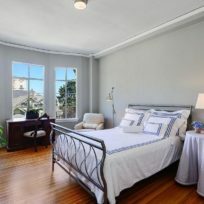 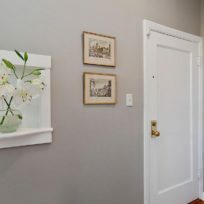 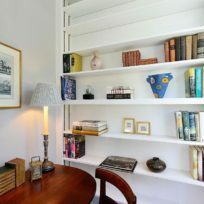 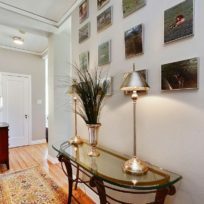 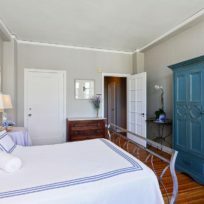 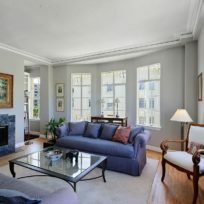 Unit 402 is brimming with character and sports quite a European flair with narrow plank hardwood floors, tall windows, and classic moldings. 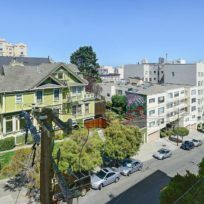 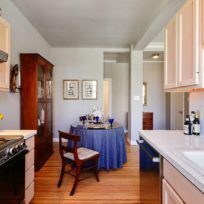 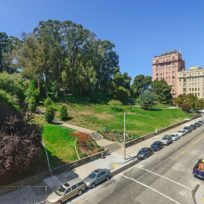 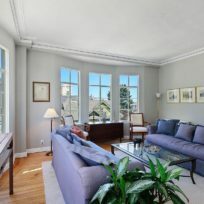 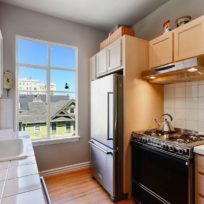 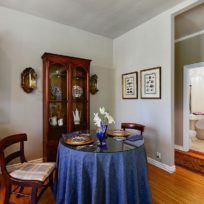 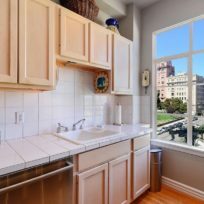 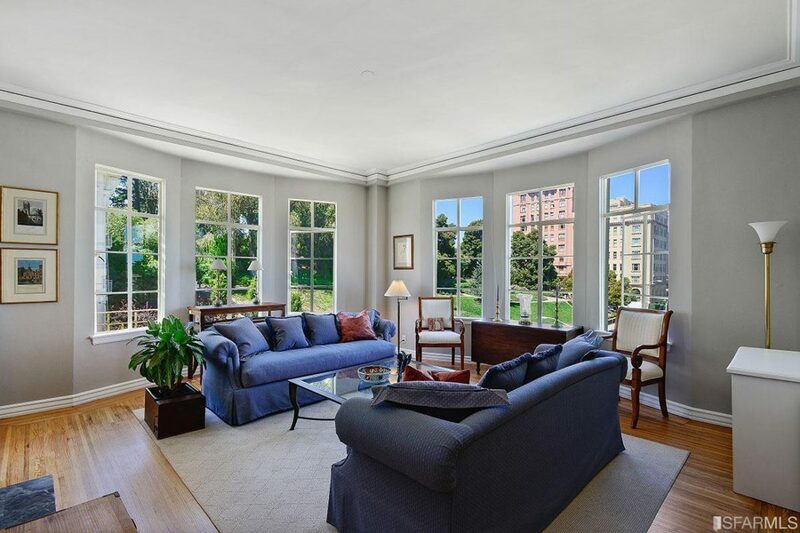 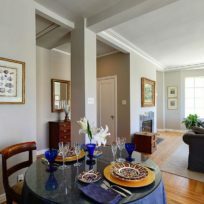 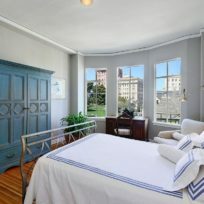 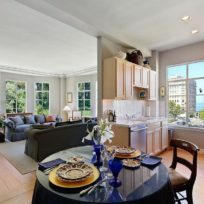 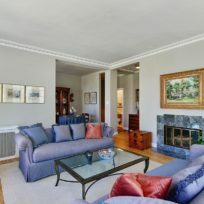 Whether in the living room, library, or kitchen you will be enthralled by the VIEWS of San Francisco Bay and Lafayette Park. 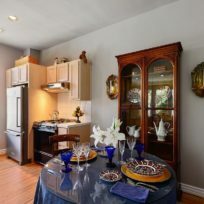 This condominium is a home to be cherished!